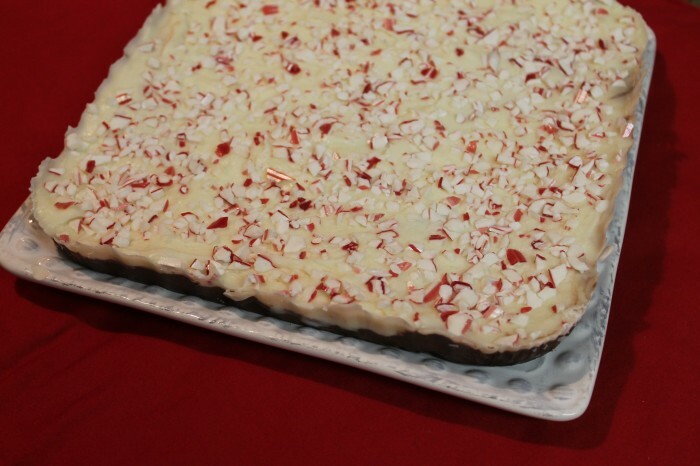 Every Decemeber, I get excited about one thing in particular – Peppermint Bark! 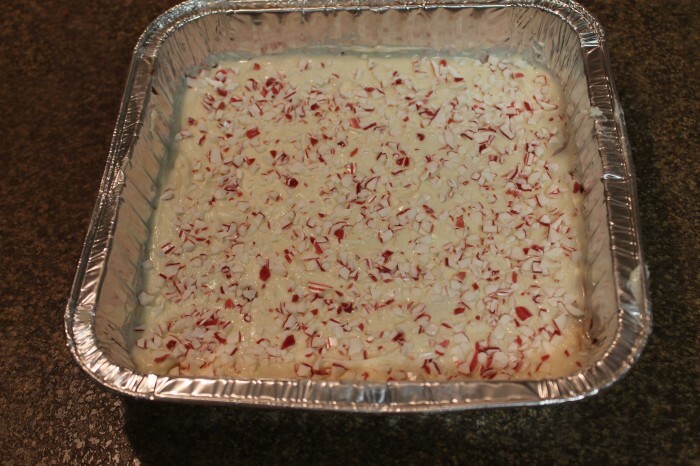 I usually buy Peppermint Bark from the store, but this year I wanted to make my own so that I could have more of it! 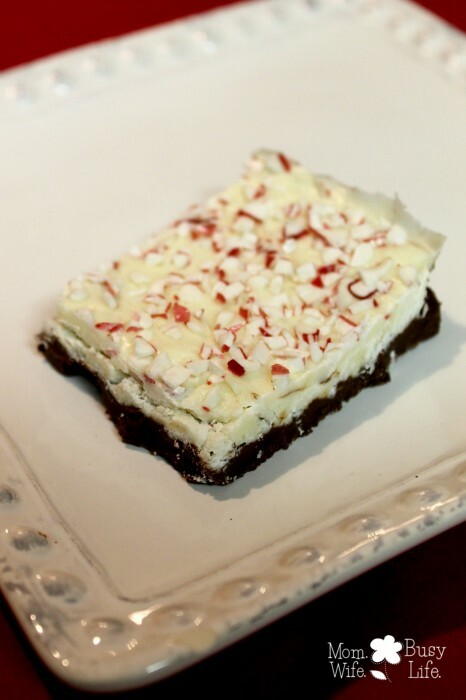 This Peppermint Bark recipe is easy to make and doesn’t require too many ingredients! First, melt the milk chocolate chips in a double boiler. Add 1 tsp. of Peppermint Extract into the mixture and stir well. 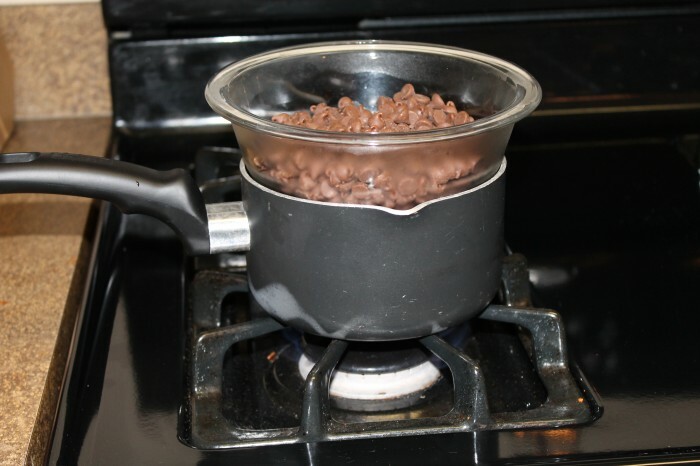 (I always melt my chocolate on the stove top to prevent it from burning by placing the chocolate chips in a bowl and placing it over a pot of boiling water, stirring occasionally.) A Double Boiler is only Christmas wish list this year! For now, this works for me. 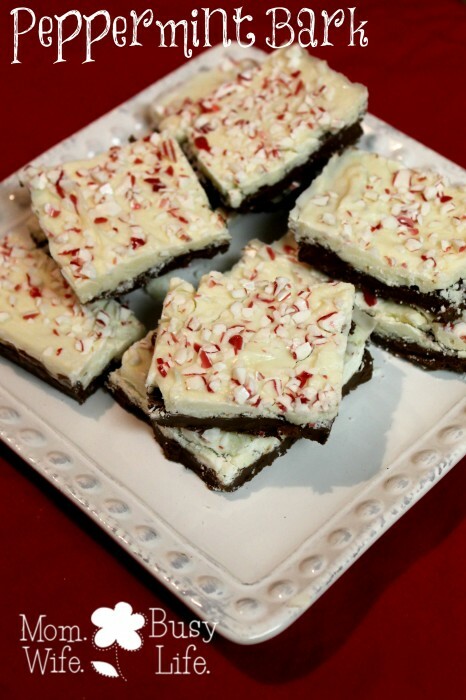 Once the chocolate is melted, pour into an 8X8 pan (or a pan slightly bigger for thinner Peppermint Bark) and spread evenly. Let the chocolate cool. I place mine in the refrigerator until it hardens. 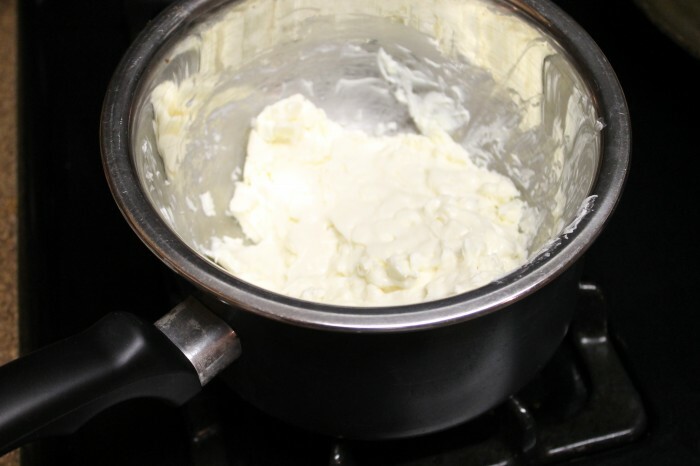 Melt the white chocolate chips well and stir occasionally. Add 1 tsp. of peppermint extract and stir well. Pour the melted white chocolate on top of the milk chocolate and spread evenly on top. 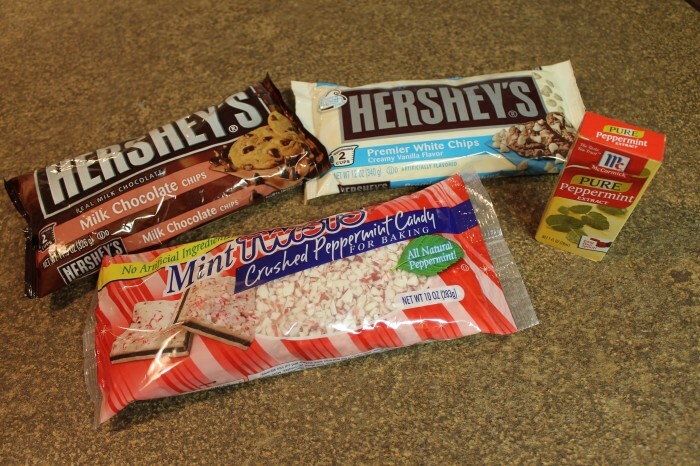 Then, sprinkle with crushed peppermint. Place in the refrigerator to cool and allow it to harden. 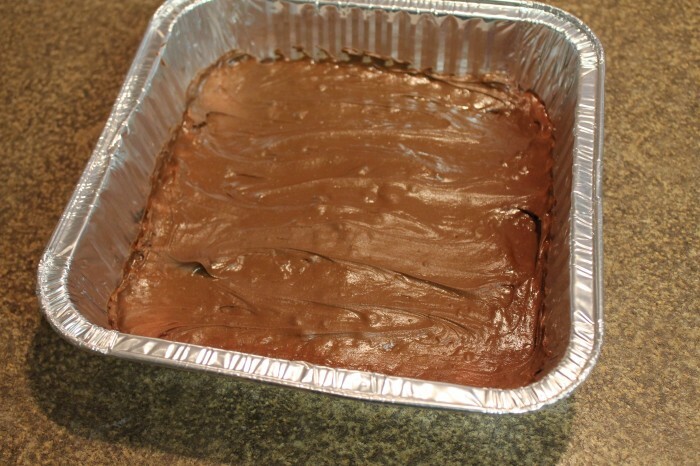 This looks delicious, thank you for posting this recipe. I was excited to make this – I used ghirardelli dark chocolate chips and white choc chips – the white chips seized the first time around so I tried again but melted them in the microwave. The result looked great and tasted good, but would not bond together. I even tried setting it in a 200 degree oven for bit in hopes it would stick, but no luck. Maybe I should have used Hersheys!! This looks delicious! I might not even put on the candy bits!